After an amazing concert presentation as part of the opening of the 7th Australian Banjo & Bluegrass Conference, Friday’s offerings came think and fast after a wonderful breakfast served up from the Tranquil Park kitchen. The workshops for the first morning’s session included instruction on what every banjo player should know in the way of solid technique; a range of tips and techniques for intermediate banjo players; solid Scruggs techniques, introduction to clawhammer banjo; some tips to create Dobro magic, and a host of essential techniques for bass, mandolin and guitar players delivered by 10 of the resident instructors. Mid morning Ross Nickerson, Jens Kruger gave masterclasses while Uwe Kruger (guitar), Mark Miracle (mandolin), George Jackson (fiddle), Joel Landsberg (bass) continued with workshops. The general vibe around the conference is one of enjoyable reflection on the already completed inspirational workshops, coupled with eager anticipation of the next round of presentations from the Kruger Brothers on arranging and creating their music followed by a session by master luthier Chris Melville on banjo, guitar and mandolin setup, environmental dangers and other nasties that may play havoc with our instruments. 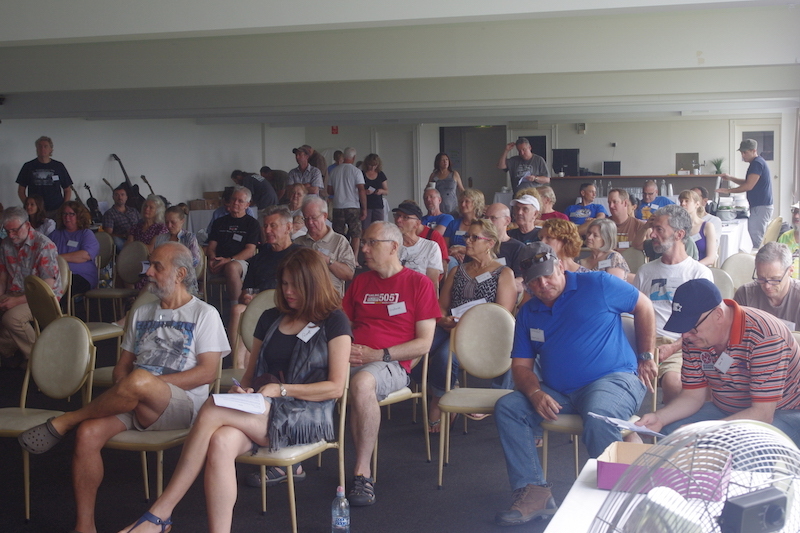 The conference retreated to the Maleny Town Hall to join members of the wider Sunshine Coast community to hear performances from Brisbane band The Company and USA’s The Kruger Brothers. 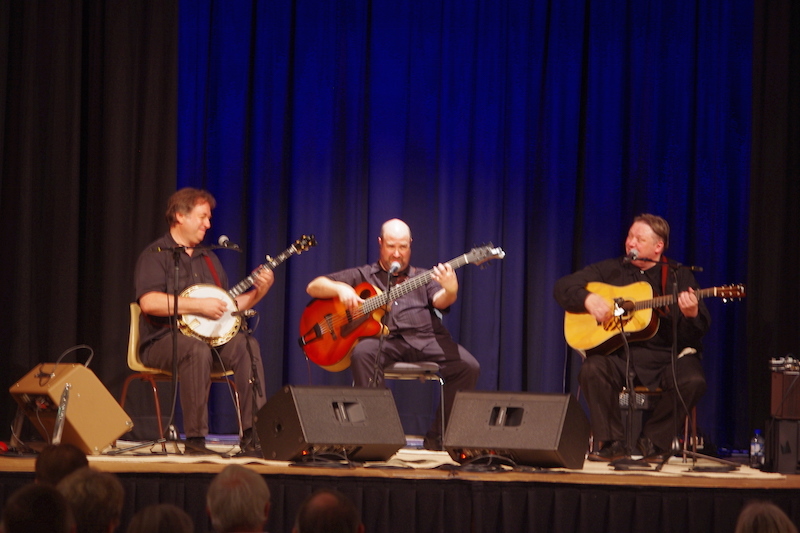 The concert venue was almost at capacity and The Company played the first set wowing audiences with the own bluegrass flavoured, acoustic music and wry onstage humour. Next came the Kruger Brothers who launched into what I can only describe as an exploration of what’s possible on banjo, guitar and bass. The unique talents of Jens and Uwe Kruger and Joel Landsberg leave you wondering what just happened. 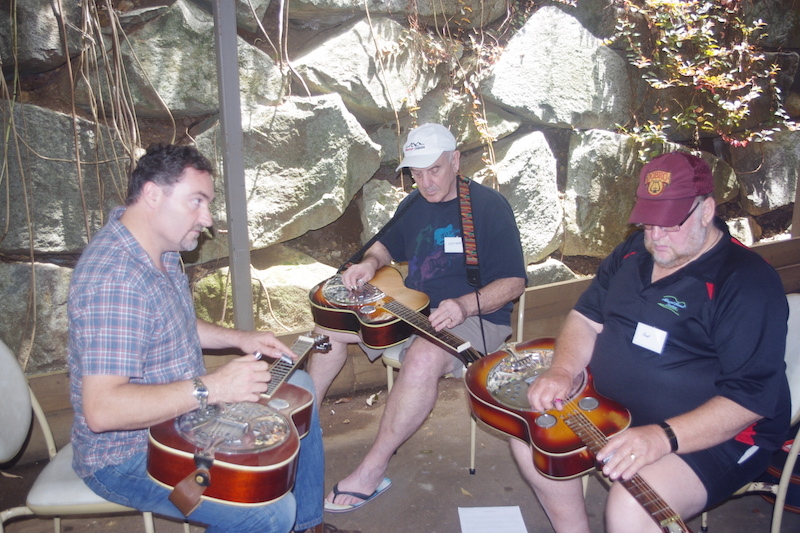 Inspired by their love of bluegrass music, The Kurger Brothers have re-defined Acoustic music.